Place beetroot and pumpkin onto a baking tray and lightly coat in olive oil. Season vegetables with salt. Roast tray of vegetables for 30 minutes by placing tray into the oven at 180⁰C. Pumpkin will become much softer than beetroot once cooked. Cook pasta according to packet instructions and drain. Toss Meredith Dairy Marinated Goat Cheese through warm pasta so that the cheese melts through. Once vegetables have finished roasting, stir through pasta together with baby spinach leaves. Season with salt, cracked pepper and goat cheese marinating oil, stirring through to combine. 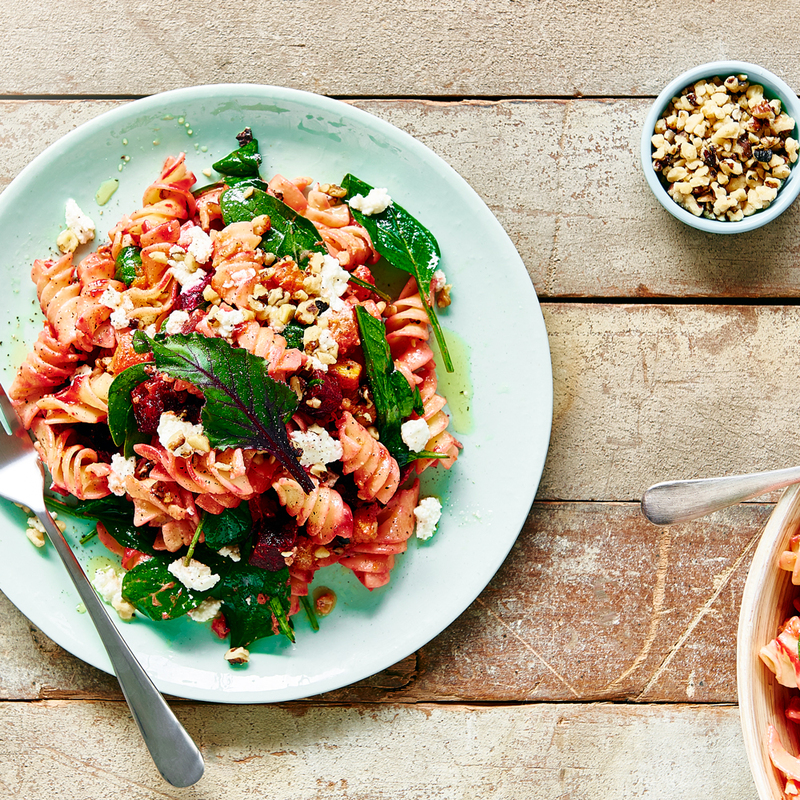 To serve, top pasta with crushed walnuts and extra Meredith Dairy Marinated Goat Cheese.